A non-profit chess school dedicated to providing chess education to children across California. Through its involvement with over 150 California schools, Berkeley Chess School teaches chess lessons to more than 7,000 school-aged children each year. The majority of the school’s students range in age from Kindergarten to 12th grade and are incredibly diverse in terms of skill level and personal background. Nevertheless, Berkeley Chess School provides top-tier chess education to all who seek it, leading them to better their lives and themselves through chess. The Berkeley Chess School was born quite naturally out of one woman’s love for the game. Elizabeth Shaughnessy, a strong chess competitor, was asked in 1981 to teach chess at her son’s school in Berkeley, California. Soon, more and more schools started requesting her, and though she was teaching (for free) 5 days a week, she still couldn’t fit every school into her busy schedule. So, in the face of an incredible demand for high-quality chess education, she founded the Berkeley Chess School as a non-profit organization dedicated to teaching chess and enriching children’s lives. For thousands of years, the chess board has been one of humanity’s greatest educational tools. We are only now beginning to understand the full depth of the mental benefits playing chess can have, particularly in children. But it has always been known that chess offers something special. It is both entertaining and educational. It keeps kids coming back in a way that few other games can manage. For all these reasons and more, Berkeley Chess School believes that teaching children to love chess is the best way to teach them important skills like creativity, problem-solving, perseverance, patience, critical thinking, and many more that will last them their entire lives. This is why they work so hard to provide high-quality chess education to as many children as possible. 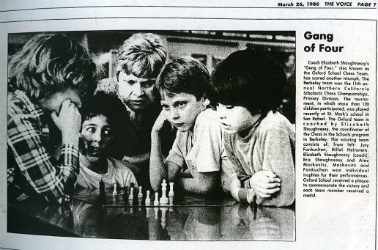 The majority of the work of the Berkeley Chess School is done through its numerous after-school programs, just like it was in the very beginning. However, the chess school has also grown quite a bit in the nearly 4 decades it’s been in business, and now offers a wide variety of other programs as well. After school classes are available for students from Kindergarten to 12th grade of all skill levels. They are divided into Beginner, Intermediate, and Advanced skill levels and are available at more than 150 schools throughout the Bay Area, one of the widest reaching scholastic chess programs that we’ve ever seen! Your child will need to be actively enrolled at the school hosting the program in order to participate. If you’re not sure whether your school hosts a scholastic chess program from Berkeley Chess School, you can double check on this page. Once you find your child’s school, you can register for the program right on the BCS website. These programs aren’t just something to keep kids busy until they can be picked up from school, either, they actually can produce remarkable results. For example, GMs Sam Shankland and Jon Ludwig Hammer were both enrolled in these programs, and went on to be seconds for Magnus Carlsen during his World Championship games! Many BCS alumni have broken records, like the one set by Bobby Fischer as the youngest player to become a Master. He was 9 at the time, and BCS alumni have broken it twice since! 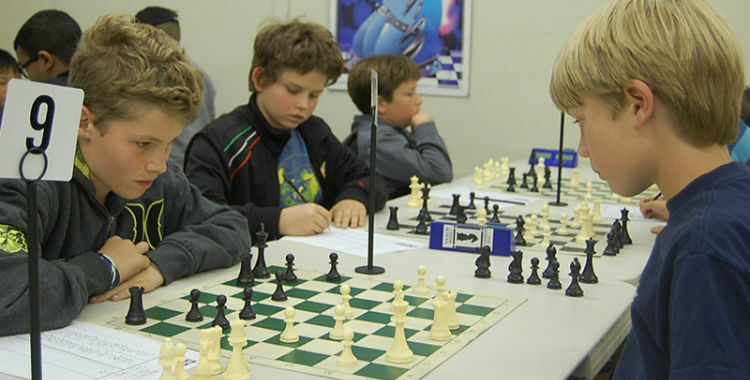 Every Friday night during the school year, from 5:30 to 7, Friday Night Chess events for children in grades 1-12 are held at The Berkeley Adult School in Berkeley, the Grace Presbyterian Church in Walnut Creek, and Country Club Elementary School in San Ramon. From 7 to 8, a tournament is held in which participation is optional. These tournaments give kids experience in a more familiar environment, helping to reduce nerves at the next tournament. In order to participate in Friday Night Chess events, you must have a current USCF membership. You can purchase these for your child through the BCS website for about $16. Berkeley Chess School conducts chess camps throughout the summer months. This year, they are partnering with Aloha Mind Math to offer a morning math camp in conjunction with the afternoon chess camp. Registration is open now, and spaces are limited, so sign up soon! Camps are available for children entering grades 1-12 at any skill level. Beginners camp is usually held in the first two weeks of the summer. You may choose to register for a full day or partial day of camp. The full-day option lasts from 9 to 5 with drop off as early as 8 o clock. It includes board games and chess, outside sports, and math, science and art projects between 9:00 and 12:00 in the morning, combined with intensive chess camp in the afternoon. Each week of camp covers new information, and advanced level camps are taught by a variety of GM and IM instructors. The Berkeley Bishops are a team of elite junior chess players that train together to compete at the Grade Level State Championship. During the year, they also participate in private matches against other teams. Participants must be BCS students with at least 6 months of chess experience under their belt, or 1 to 2 weeks of chess camp. Adults who want to learn chess or improve their game need not feel left out at Berkeley Chess School. Many programs are available for adult players, including classes, tournaments, and private lessons. Adult classes are open to anyone over the age of 14. Novice/Intermediate classes are held intermittently and aimed toward adult students who already know piece movement and are looking to learn elementary tactics and strategy. Adult tournaments are held regularly and include cash prizes. To participate in these tournaments, you must have a current USCF membership, pay the entry fee, and if you are under 14 years old, you must have a USCF rating of at least 1400. There is no minimum rating requirement for players over 14 years old. If you believe in the difference that chess can make in the lives of young people and want to support Berkeley Chess School’s mission, there are several ways to do so. If you live locally, you can always sign up for a class or two, participate in a tournament, or send your child to a chess camp. You can also check this list of local companies that offer company matching for any donation made to BCS. That’s an easy way to double your impact! No matter where you live, you can always make a charitable donation to help fund the operations of Berkeley Chess School. This can be done easily online. You also have the option of planned giving, to bequeath a portion of your estate to Berkeley Chess School by writing it into your will. If you are a decision maker at your company, you may also be interested in setting up a corporate sponsorship to benefit Berkeley Chess School and all of the underserved youth in its educational chess programs. No matter what you choose, just remember that every little bit you can give makes a huge difference in the lives of children throughout the Bay area and beyond! 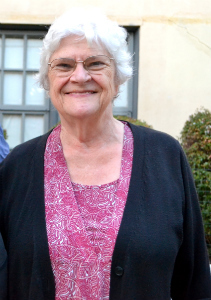 Berkeley Chess School’s founder, Elizabeth Shaughnessy, is both a remarkable chess player and a remarkable person. She is the 1970 Irish Women’s Chess Champion and has competed in chess tournaments all around the world. She was elected to the Berkeley School Board and helped to pull the district out of bankruptcy and back into the black. She has served as the President of CalChess and a member of the United States Chess Executive Board. She has also been involved in many humanitarian efforts throughout her life, from building schools and hospitals in Yugoslavia to now teaching chess to children. Shaughnessy has been recognized numerous times over the years for her dedication and commitment to improving her community. Her accomplishments are too numerous to list, she is truly a remarkable woman! Berkeley Chess School is doing great things for Bay area children from all walks of life. Through its educational chess programs at over 150 local school districts, this organization has touched the lives of thousands of children, setting them up for greater success in the years to come. We encourage you to support their efforts any way that you can, whether that’s by attending paid classes if you’re in the area, or making a donation if you’re not, every little bit helps to make a difference in the lives of children. Chess School: Great Chess Schools Around the World.